Oil on canvas, 20 x 30". 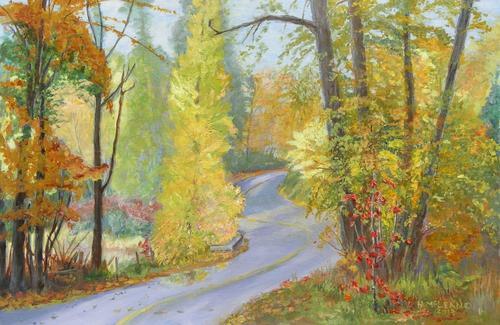 I enjoy a walk occasionally and this was a delightful surprise last autumn - on an urban road which crosses a small creek in a wide flat valley, a bit wild except for a few houses on either side here and there. Oil on wood panel, 11 x 14". 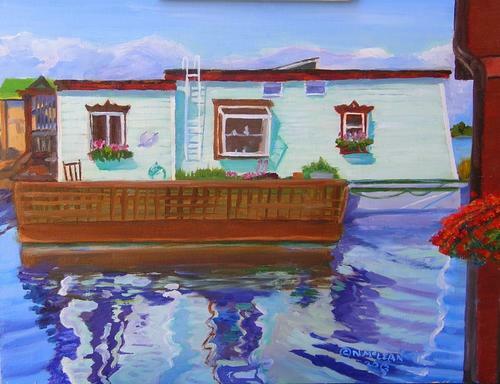 I enjoy the float homes which I think a wonderful way to live. 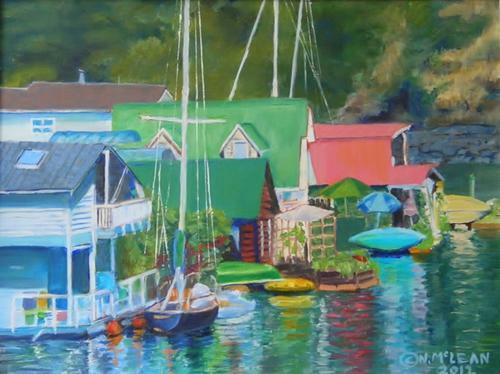 This one was in Victoria at Fisherman's Wharf and the beautiful colour attracted me. Fisherman's Wharf in Victoria has a large group of float homes, very decorative, some whimsical, all very picturesque and colourful. I enjoy them and make them my own by painting them in all their wonderful detail. 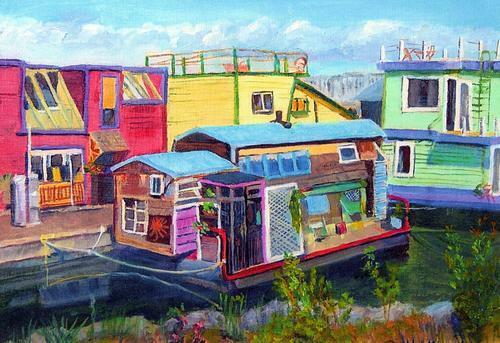 Who wouldn't love to live in a float home village in a place called Bird's Eye Cove? This is also called Maple Bay Marina but I like the name Bird's Eye Cove. 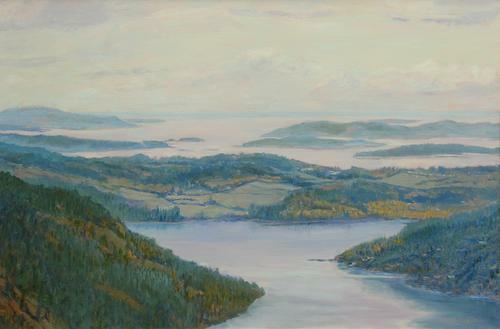 Oil on canvas 24 x 36"
My husband and I tried to get up Malahat Ridge early in the morning to get a dawn view over the Saanich Inlet, the Saanich Peninsula and to the Gulf Islands beyond. This part of the ocean is called the Salish Sea by the aboriginal people and my husband suggested this name for my painting.